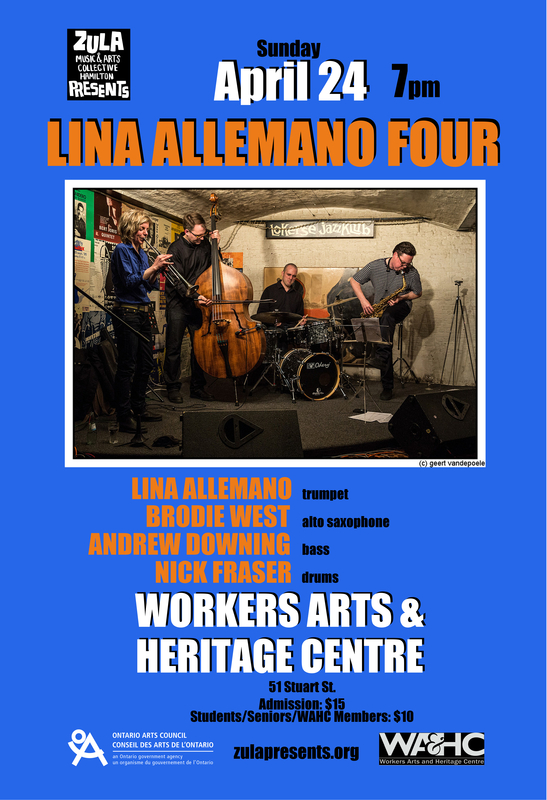 Hailed as one of Canada’s leading avant-garde/free-jazz bands, LINA ALLEMANO FOUR is known internationally for their inventiveness, playfulness, and synergy as they deftly blur the line between composition and improvisation. This exciting Toronto band has been touring extensively for the past 10+ years all across Europe, USA and Canada. Their music has been described as abstract melodicism, combining lush colours with dense free-flowing rhythmic textures. [Stef Gijssels, The Free Jazz Collective (Belgium), Nov 2012].